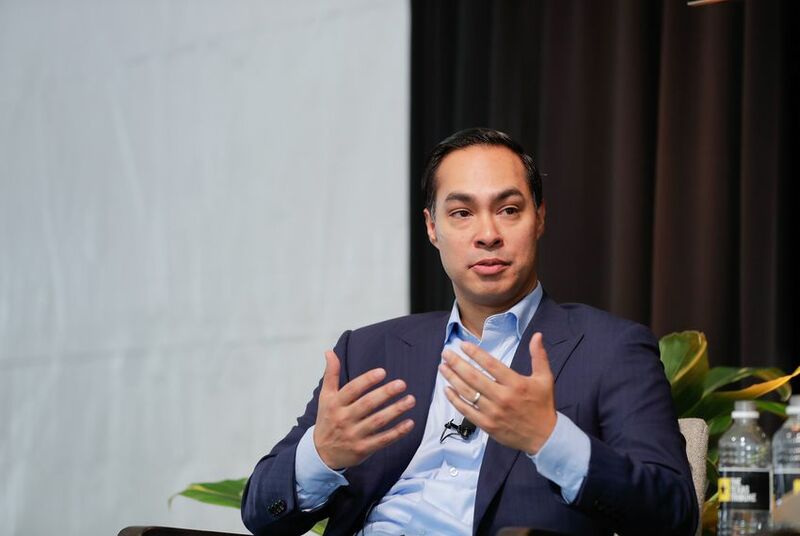 Julian Castro is taking another step toward a 2020 presidential campaign. Castro has made little secret of his intentions, saying in recent weeks that he is likely to join what is expected to be a crowded field for the Democratic presidential nomination. It is a lineup that could include another Texan, U.S. Rep. Beto O'Rourke of El Paso, who is being urged to run after his closer-than-expected race against U.S. Sen. Ted Cruz, R-Texas, last month. On Wednesday, he released a video message highlighting his family's story, including how his grandmother came to America when she was seven years old and how "just two generations later" he became a member of President Barack Obama's cabinet and his twin brother, Joaquin, serves in Congress. He said he'd spend the next few weeks "talking to folks" before he makes an announcement. Castro would be among the first candidates to officially enter his party's race to take on GOP President Donald Trump, with few others speaking as openly about potentially running as Castro has. More recently, there has been intense speculation about O'Rourke, who said during his Senate campaign that he would not run for president in 2020 but has since admitted he is not ruling anything out.